About the User: This project was commissions by a client that sells and distributes domestic and commercial boiler & water heating solutions including pumps, circulators and control devices. With a wide range of products and customers both trade and end-user, they have a huge range of appliances with very specific technical specifications and prices. The client historically managed their pricing very manually using a range of spreadsheets and PDF price lists meaning quote generation could be a very laborious task. This led to very time-consuming process from enquiry to quote before they were able to provide their customer with a price for the project. Implementing QuoteWerks and then DDI System alongside helped in terms of being able to find accurate prices more quickly and be able to have a historic reference to prices quoted. Project Brief: to integrate QuoteWerks with DDI System to further improve the accuracy and speed at which quotations could be produced. 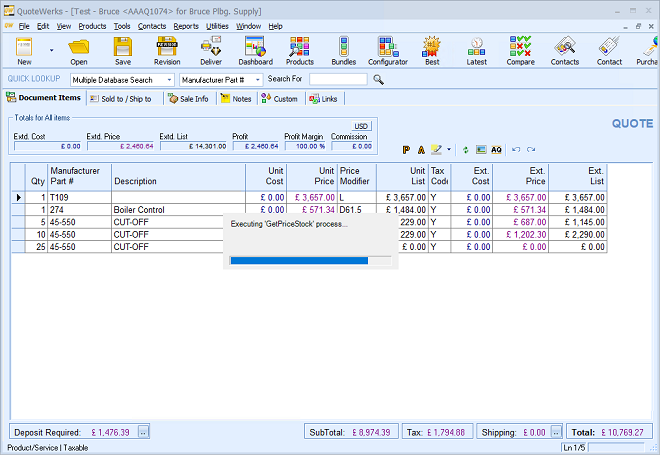 Using DDI system RESTful web services to retrieve Customer, Product and Quantity-specific pricing onto the QuoteWerks Document. 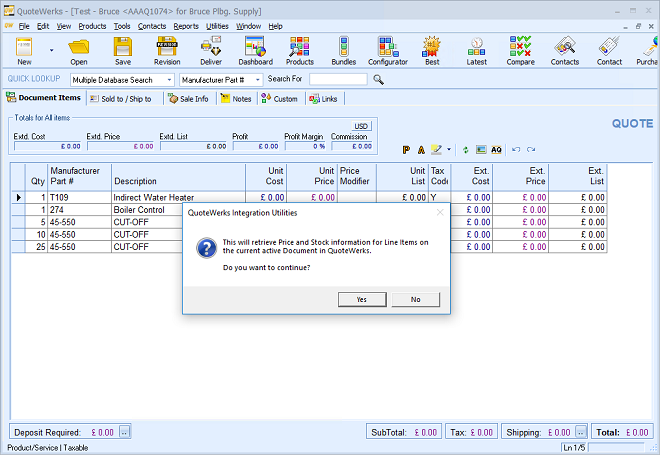 A custom QuoteWerks Tools menu option to retrieve Customer, Product and Quantity-specific pricing onto the current QuoteWerks Document. Calculating the Discount from list that the Customer received based on the Product and Quantity being quoted. Various configuration options to set where information is placed in QuoteWerks. Integration with DDI System's RESTful web services. Single point of maintenance for all pricing (i.e. in DDI System).